Caution labels illustrate the steps one should take to minimize or prevent the adverse effects caused by exposure to hazardous chemicals. Medical and veterinary practices use them to protect their staff, clients and patients. Caution labels contain pictures and descriptions that make it easy to label secondary containers with information required by OSHA. Caution labels help you maintain both safety and standards. 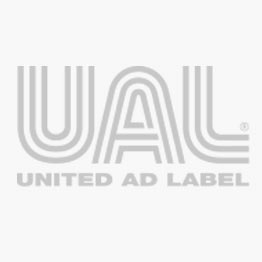 United Ad Label caution labels feature symbols and warnings that comply with GHS workplace labeling requirements. Our caution labels feature a clear overlay that protect them from chemical exposure. And, they fit tubes, small vials and odd-shaped containers. Caution Label, 1-5/8" x 7/8"
GHS Container Label, 3" x 1 1/2"
GHS Hazard Label, 2-1/2" x 2-1/2"
GHS Label, 2" x 1"
Reagent GHS Label, 3" x 1-1/4"